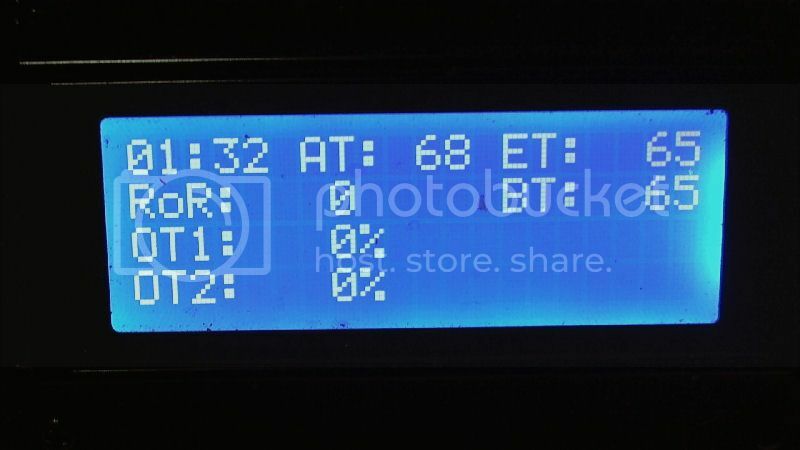 I know the display will not work with RoastLogger PID when compiled with 1.6.6, is this the same thing and a problem with Arduino, or something else? Not sure what's going on there. I haven't updated to 1.6 yet. I don't think it's anything to do with cbutton.cpp. So does it work properly with 1.0.6 and both versions of cbutton.cpp? 1.0.6 No problems. I don't think I've tried the cButton for 1.6.6 on 1.0.6. because I didn't think it was supposed to work on 1.0.6. I worked with greenbean on this problem with RoastLoggerTC4 PID and 1.6.6 for a couple of days helping him because he didn't have one with a LCD I have two TC4's and both do the same thing. I even plugged up a 16x2 LCD and no LCD would work if compiled with 1.6.6. Both TC4's have Jim's expansion board in them. I stuck with using all his stuff and authentic Arduino UNO3 boards just to try and make sure I didn't run into compatibility problems. Now, I've loaded Q_PID in one and it also has display issues with 1.6.6. Yesterday, I saw they had come out with a 1.6.7 so I tried compiling with that to see if it was an issue they knew about and had made a fix for it, but no luck, same thing. I addressed it here because I figured somebody besides me had to be running a TC4 with the LCD beside me and if it's a 1.6.6 problem, they would have run into it also. It's not a problem for now, because everything works fine with 1.0.6 but somewhere down the road we may need to update and I use mine a lot of times without the computer and just run it using the LCD. I will try mine with 1.6.7 when I get a chance. I also use one of Jims LCDapter boards and a 4x20 LCD. 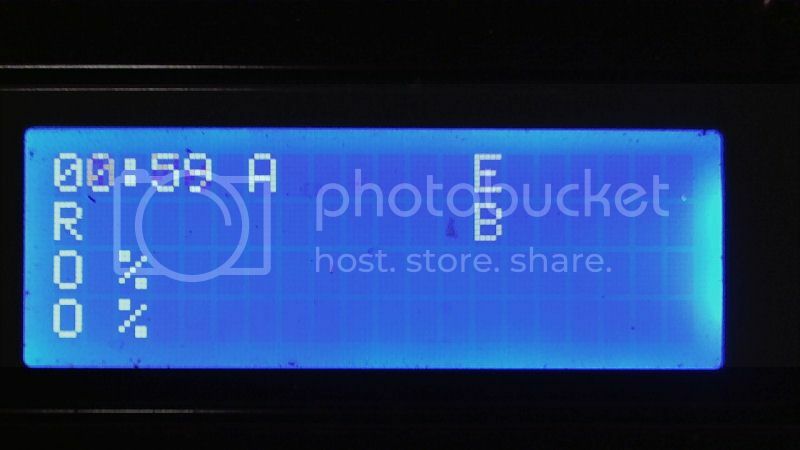 Could you try commenting out the #define LCD_4x20 line in the user.h file to see if that fixes anything. It will run the 2x16 LCD mode with that line removed. The LCD will not show all the data like the 4x20 mode but I'm interested to see if it works in that mode. I will do it tomorrow, it's only a couple minutes before midnight and I've got to get in bed before the gremlins come out at midnight. Friday afternoon here About to finish work for the week and do some roasting! I decided it won't take but a minute so I turned the electric blanket on so the be could be warming and will try it right quick. Now I only have two screwed up lines instead of four. so that didn't do anything for it. Possibly the LCD library needs updating to be compatible with IDE 1.6.6 and above. and hopefully that's all that's required. Well, I made the change the cLCD.cpp in 1.6.6, and guess what. Great work guys. I have been unable to investigate this issue as I do not have an LCDapter. Thanks Brad for investigating and finding a solution and thanks Keith for testing it. I have just updated the TC4 libraries to version 4.01 including the necessary modifications for compatibility with the Arduino IDE version 1.6.6 and above. The updated libraries are available from the downloads page of the RoastLogger website, they are included in the download of the RoastLoggerTC4 sketch version 3.3. There is a significant advantage in using Arduino IDE 1.6.6 or above when compiling/uploading TC4 sketches as all previous versions of the Arduino IDE contain a bug in the Wire library that can cause the Arduino to lock up if a glitch occurs on the I2C bus. This will certainly not be the only issue causing an Arduino to lock up and most users may never experience a glitch on the I2C bus but LCD users and those controlling AC fans/blowers are probably most at risk of experiencing glitches and resulting lockups of the Arduino. Great! And sorry to bother you again, but are you confirm that the modified cLCD.cpp also works with Arduino 1.0.6? Following the above a further update to the RoastLoggerTC4 sketch has been made available on the RoastLogger downloads page. Anyone having problems with an LCDapter when the sketch is compiled with Arduino IDE 1.6.6 or above should download the latest version. Many thanks to Keith (BenKeith) for identifying the problems with the LCDapter and Arduino IDE 1.6.6 and above and for testing the solutions. Many thanks also to Brad (GreenCardigan) for investigating the issues and identifying the problems. I would not have been able to resolve this without their help as I do not have an LCDapter.